Using a reward or chore chart is a great way to encourage good behavior and provide an incentive for learning new skills. 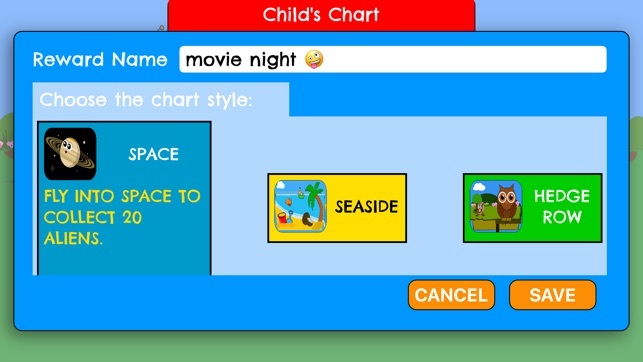 Large, scrollable and animated reward charts. 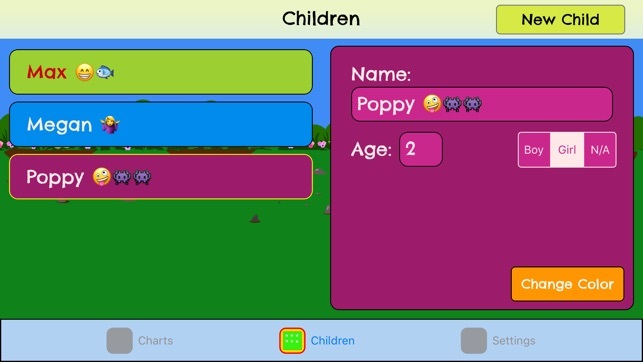 Interactive - children drag stickers onto their charts. Add as many children as you want. 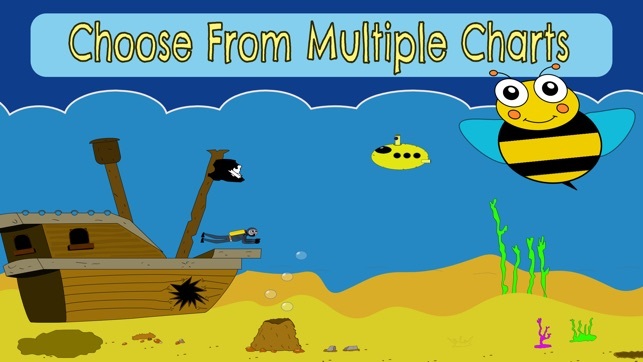 Each child can have multiple charts. 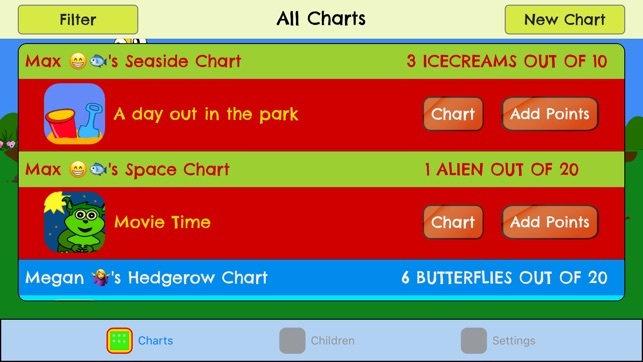 For example young children will love collecting aliens on the space chart. 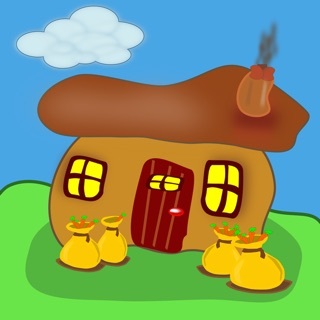 • Fixed a bug that could cause the app to crash. 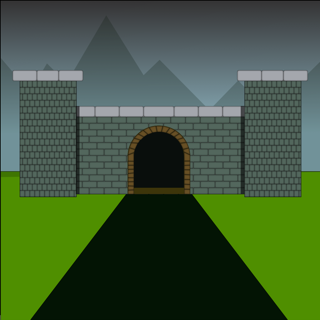 • Minor cosmetic changes and fixes. This version also features The Fair Ground update. Roll Up, Roll Up! 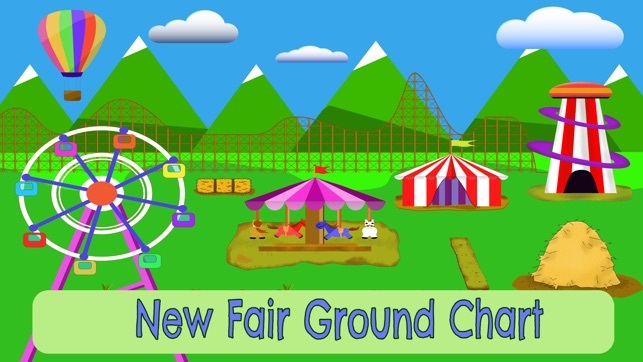 There's a brand new chart in town - The Fair Ground. The Fair Ground is a 10 and 20 sticker reward chart featuring animated rollercoaster, ferris wheel and carousel. 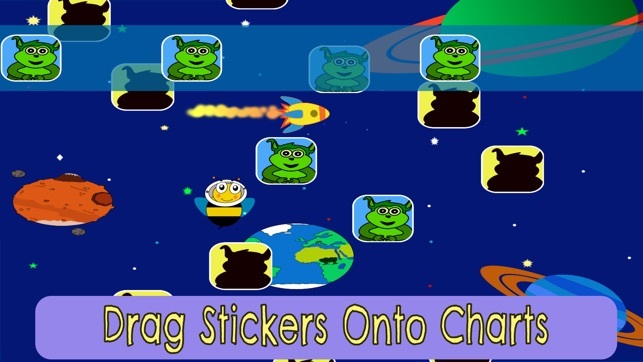 Kids will love collecting the balloon stickers with Bimble Bumble.